Solid-state drives (SSDs) are an increasingly popular choice for businesses looking for faster performance and lower power consumption than magnetic hard-disk drives can provide. As SSDs continue to slowly fall in price and improve in performance, businesses are implementing SSDs across server farms, laptops, and desktops. Data center have a number of ways to use SSDs: in conjunction with other storage, as cache, or as a tier zero--the best and fastest level of storage you have available. That way, the most-used files can be stored on SSDs, relegating less-accessed files to slower media. In enterprise storage, you can find all-SSD systems as well as those with SSDs used alongside older, rotating media. SSD capacity is growing, but still carries a high cost per gigabyte compared with hard drives. Where can you get the best use of SSDs? Here are some answers. With a desktop, it’s possible and often appropriate to have an SSD as a boot drive and a high-capacity hard disk as a data drive. This gives you great performance for booting and important applications, and lots of inexpensive capacity to store files that don’t require exceptional performance. In the data center, SSDs can improve database or virtual desktop infrastructure (VDI) performance. Storage systems that use SSDs as cache or tier zero provide the performance of SSDs along with the inexpensive capacity of hard drives. Laptops are a bit harder to have this dual-drive approach, though; it requires you to have a large enough laptop that it can support two disk drives. Or it requires that you buy the rare laptop that has the SSD integrated into the motherboard while still having a 2.5-inch bay for a hard drive. With a laptop or desktop, it’s possible and often appropriate to have an SSD as a boot drive and a high-capacity hard disk as a data drive. This gives you great performance for booting and important applications, and lots of inexpensive capacity to store files that don’t require exceptional performance. In the data center, SSDs can improve database or virtual desktop infrastructure (VDI) performance. Storage systems that use SSDs as cache or tier zero provide the performance of SSDs along with the inexpensive capacity of hard drives. While some systems can transparently use SSDs, in many cases you’ll want to set up different storage volumes, and make sure that the most important data is on SSD. For instance, video and audio files are played back in real time, so disk performance is seldom an issue, though creating or manipulating audiovisual files is a different story. Similarly, user directories that consist of text files and similar types of documents don’t need high performance. But databases, content that users search often, or graphics-intensive data files can make good use of the higher performance of SSDs. 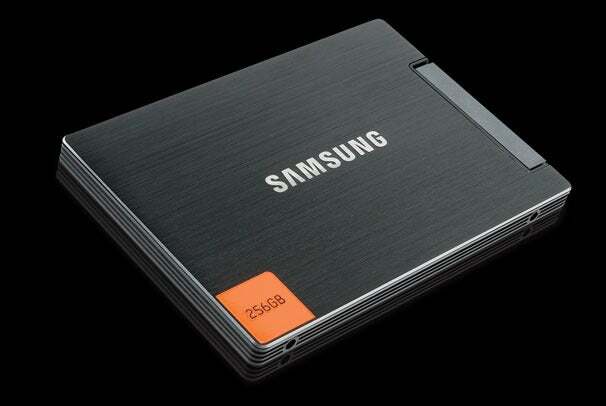 One of the earliest uses of SSDs was in laptops, where manufacturers assumed that they would benefit battery life. But battery life is largely unaffected by SSDs because the backlight of the screen, the CPU, the memory, and the graphics chipset all use much more power than the drive, whether hard disk or SSD. SSDs do use less power than hard disks, but a savings of 90 percent in a subsystem that uses only 1 percent of total power is hard to justify. In enterprise systems, though, the power savings from using SSDs instead of hard disks are high--but the energy savings still will never justify the much higher cost of the drives, especially since the highest-capacity SSDs are still only a sixth or so the size of the biggest hard drives.